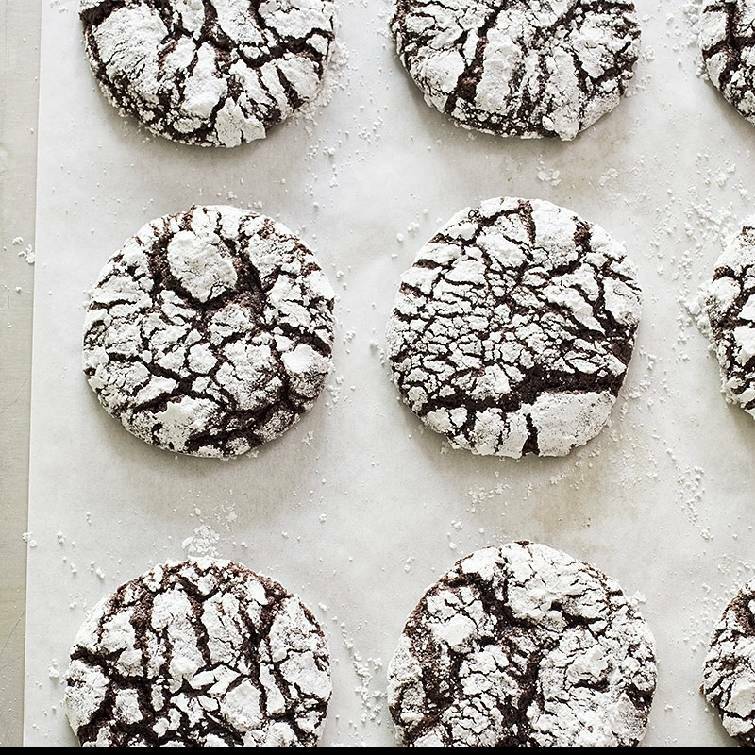 Crinkle cookies look pretty, but can they taste better? At this point, the cookies had deep, rich flavor, but the exterior cracks were too few and too wide, and the cookies weren't spreading enough. Using a combination of baking soda and baking powder helped — the bubbles produced by the leaveners rose to the surface and burst, leaving fissures — but the cracks gapped. Adjust oven rack to middle position, and heat oven to 325 degrees. Line two baking sheets with parchment paper. Whisk flour, cocoa, baking powder, baking soda and salt together in bowl. Whisk brown sugar, eggs, espresso powder, if using, and vanilla together in large bowl. Microwave chocolate and butter in bowl at 50 percent power, stirring occasionally, until melted, 2 to 3 minutes. Spread granulated sugar in shallow dish. Spread confectioners sugar in second shallow dish. Working in batches, drop 2-tablespoon mounds of dough (or use No. 30 scoop) directly into granulated sugar, and roll to coat. Transfer dough balls to confectioners sugar and roll to coat; space dough balls evenly on prepared sheets, 11 per sheet. Nutrition information per serving: 165 calories; 50 calories from fat; 6 grams fat (3 grams saturated; 0 grams trans fats); 35 milligrams cholesterol; 103 milligrams sodium; 29 grams carbohydrate; 2 grams fiber; 22 grams sugar; 3 grams protein.